There are plenty of reasons why we look to our engines to deliver more power. For us the standout is the ability to regain close to factory power to weight ratio after we’ve added the weight of the accessories, supplies and gear required for remote travel. At other times though, especially for our 76 Series LandCruiser, increased power translates to more effortless driving in the city, improved acceleration for overtaking on the highway, and easier towing too. 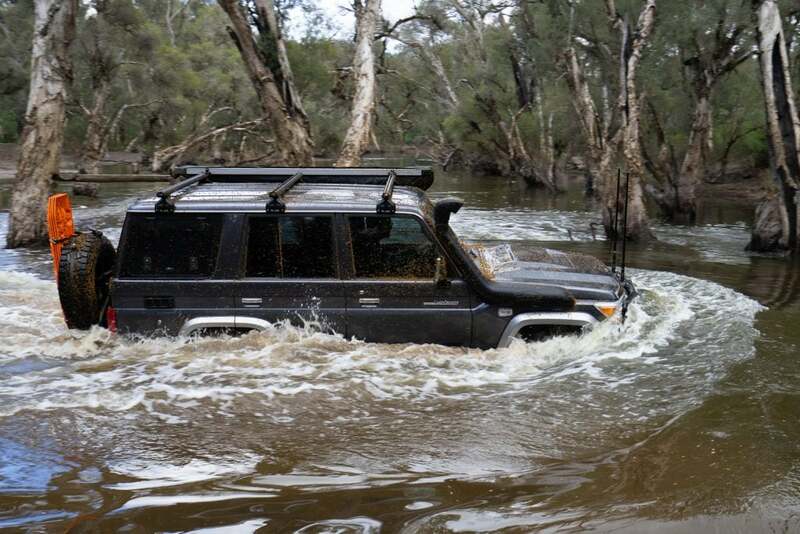 With our LandCruiser build, upgrading the power was one of the last big modifications we did. Whilst more power is extremely nice, the factory V8 isn’t bad, and with a brand new vehicle we didn’t want to rush in and choose a solution that may have negatively impacted on the reliability or longevity of our engine. 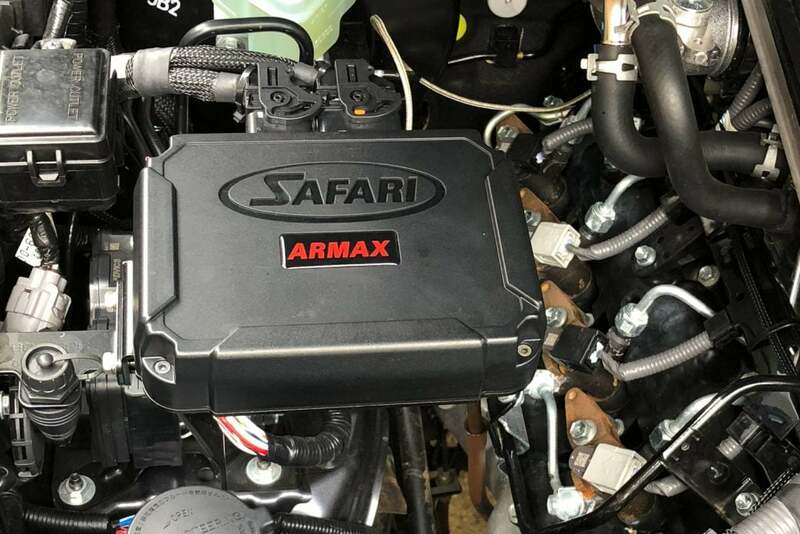 From an engine protection standpoint, the Safari ARMAX ECU is a standout. A temperature probe live reports Exhaust Gas Temperatures (EGT) to the ECU. If the temperatures are approaching levels that could damage the engine, the ARMAX ECU will decrease the fuel load and resulting extra power until it is back at a safe level. Likewise, additional power at cold engine temperatures can lead to damage too. 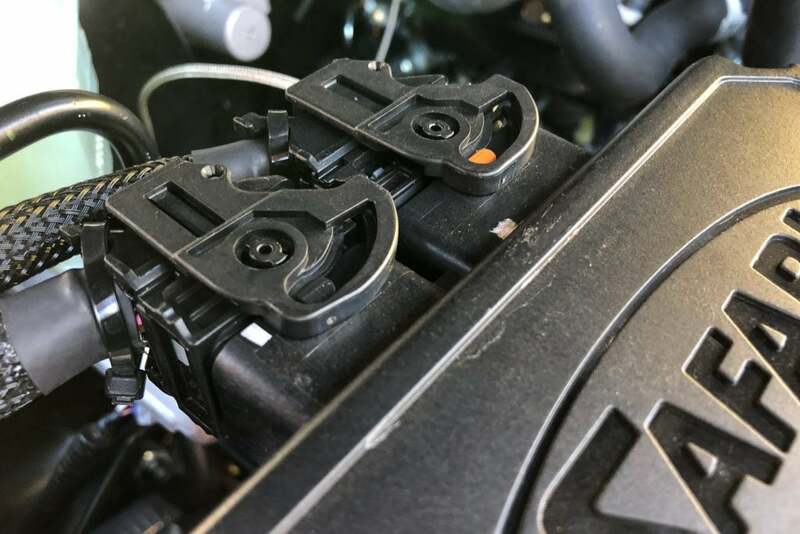 Safari’s ECU restricts any extra power at these cold temperatures, and as the engine warms up it will progressively deliver more and more power until the engine is completely warmed up and fully ready to go. Safari back their ARMAX ECU too. The unit itself is covered by a three year, unlimited kilometre warranty. Furthermore Safari offer a generous drivetrain warrant to cover the unlikely chance that their system causes damage. The drivetrain warranty is good for the first 5 years or 100,000 km of a new vehicle. 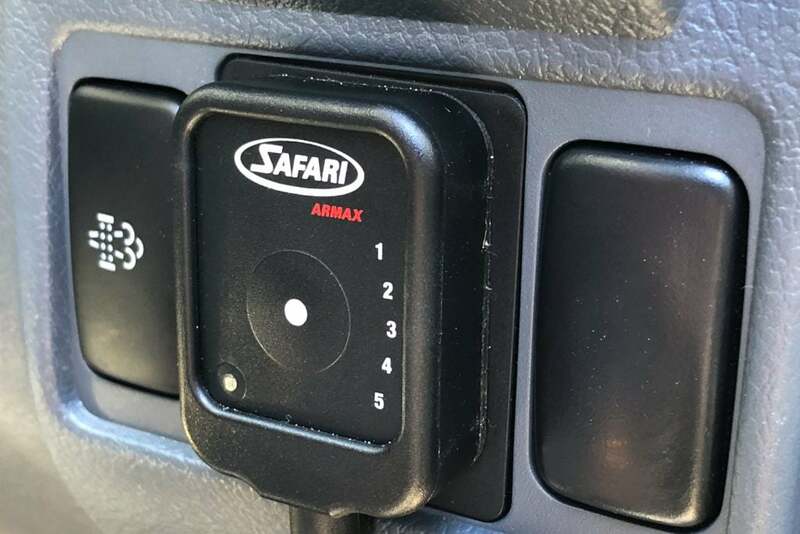 The Safari ARMAX ECU comes with five modes that can be selected on the fly using the cabin mounted switch. The comfort mode is designed for day to day driving. Sport has a snappier throttle response for quicker delivery of power and torque. Tow mode puts more torque in at the low end and pulls power from the top end to protect engines under heavier load. The tow mode also predicts the size of the loads and automatically adjusts the settings to suit. Traction mode gives full power and torque but slows the throttle response which is perfect for low range crawling, wet and muddy conditions, and in the sand. The final mode takes everything back to standard. Every aspect of the ARMAX ECU oozes quality. The unit has an IP Code of IP68. The 6 relates to solids and means the unit is completely dust tight. The 8 relates to liquids and means it can be immersed beyond 1m. The base is made from billet aluminium which acts as the heat sink for the ECU. The housing is robust ABS glass reinforced plastic. The unit has a Gore-Tex valve which allows the internal pressure to equalise in different climates without compromising the IP rating. The ECU is resin filled to absorb vibrations and the board is a Printed Circuit Board (PCB) for improved reliability. The wiring loom and mounting brackets are likewise robust. The system comes with an ethernet port to easily connect the ECU to a computer for calibrating. 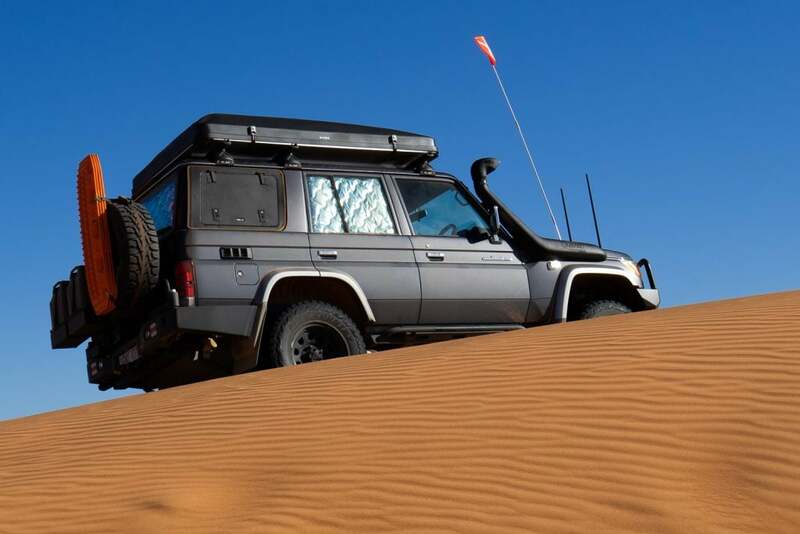 The Safari engineers have conducted extensive testing to create a collection of calibration files to cover each engine and the variety of snorkels and exhausts that can be fitted. 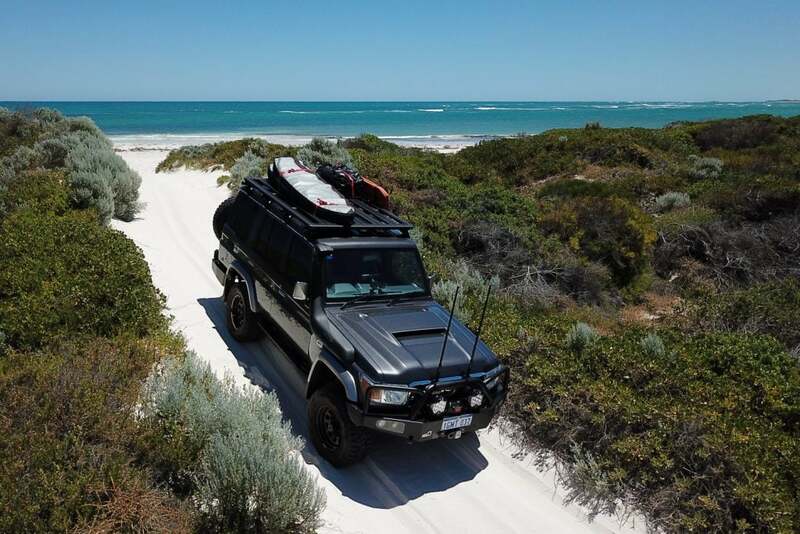 For our LandCruiser we currently have a SAFARI ARMAX Snorkel fitted, so the appropriate calibration files were loaded to suit at the time of fitting. In the new year we will likely fit a high flow exhaust and it will be a case of uploading the new calibration files as a simple software update. 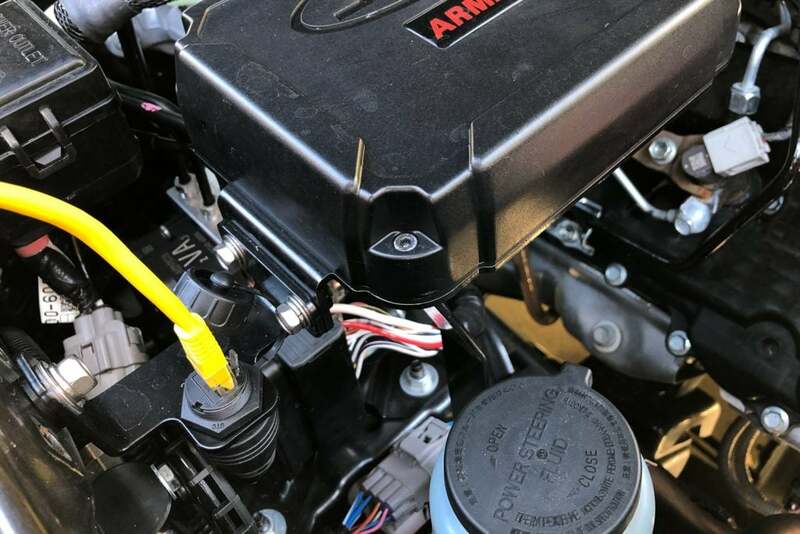 Our ARMAX ECU and ARMAX Clutch were fitted here in Perth by the team at Ultimate who have excellent knowledge of the ARMAX product range and the install process. With our 76 Series fitted with an ARMAX ECU and ARMAX Snorkel our torque has increased from 430 Nm to over 650 Nm and our power has increased from 151 kW to over 200 kW. From a power to weight angle we use horsepower and kilograms, they seem to be the most commonly used units of measurement. From factory our Cruiser produces 202 hp and at stock weight with two passengers the power to weight ratio was 1:12. If we’re fully loaded up to our upgraded GVM weight of 3,660kg our power to weight ratio drops to1:18. With the ARMAX ECU and Snorkel fitted at full weight that improves to 1:14, and we are hoping with the addition of a high performance exhaust we will be able to get that all the way back to 1:12. Whilst most vehicles don’t need it, the 70 Series clutches are prone to failing under heavy load or with increased power. To ensure ours didn’t we replaced it with a Safari ARMAX Clutch at the same time as we fitted the ECU. The ECU has transformed the way our 70 drives. It effortlessly accelerates and overtakes, it’s more responsive and it safely makes the most of a great engine.